Six semifinalists have been named for the top award in horse racing literature. 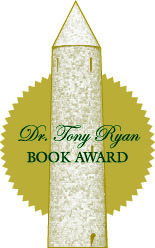 The 13th Annual Dr. Tony Ryan Book Award, which honors the best books with a horse racing premise or backdrop, carries a top prize of $10,000. The award will be given at an invitation-only ceremony at Castleton Lyons farm near Lexington, KY on April 10. The inspirational Cinderella story of Stymie, a beloved 1940s racetrack hero who ascended from low-level claiming ranks to championship status — and ultimately into the Racing Hall of Fame. The latest from a pair of award-winning journalists. A trainer and proud father follows his son’s year as an apprentice jockey with insight and humor. A portion of the book’s proceeds benefit disabled jockeys. Character-driven short stories and a Faulkner-Wisdom gold medal-winning novella by a previous Dr. Ryan Award winner, bring to life the complex and often flawed people who populate a racetrack. A William Hill Sports Book of the Year-winning journalist tells the tragic real-life story of a respected French aristocrat and mathematician-turned inveterate gambler who lost it all in an attempt to beat the system. Another former Dr. Tony Ryan Book Award honoree returns with the chilling tale of champion Shergar’s 1983 kidnapping from an Irish stud farm. Though the crime was never officially solved, interesting inroads are made here into likelihoods and possibilities. An award-winning mystery series takes its initial step into the racing world, when an intrepid young reporter investigates an apparent double murder at an abandoned horse farm not far from Saratoga.